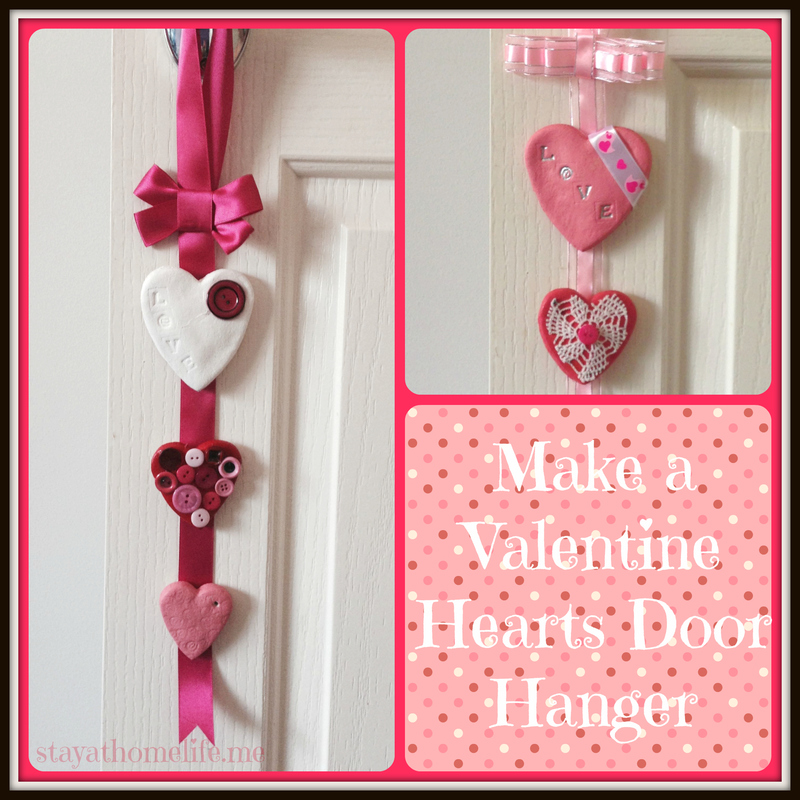 This is another variation of our earlier Valentine Door Hanger , the main difference is rather than hanging the hearts from strings, we hot glued them to a flat ribbon. The finer details can be found in the previous post or by hovering over the images below. Method and recipe for making the hearts can be found on the previous blog entry. roll out to 7mm thickness and cut shapes. Create a loop that will sit flat against the door.